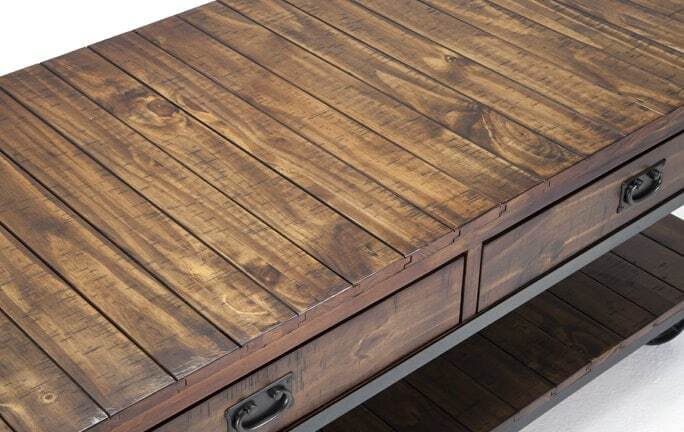 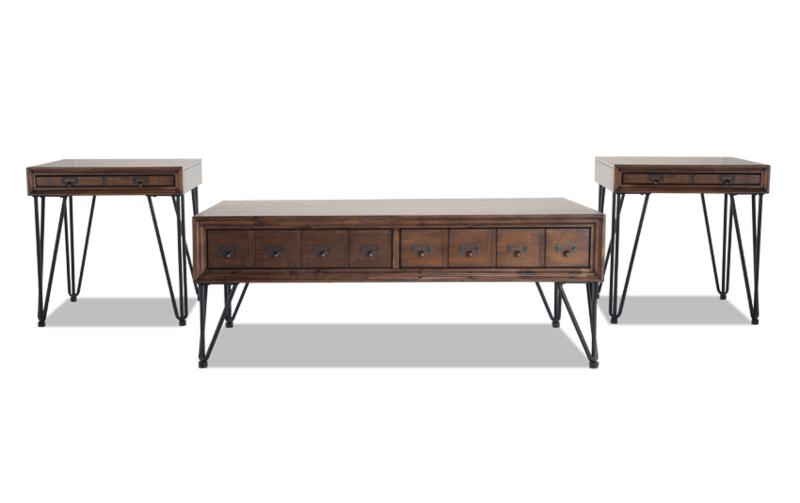 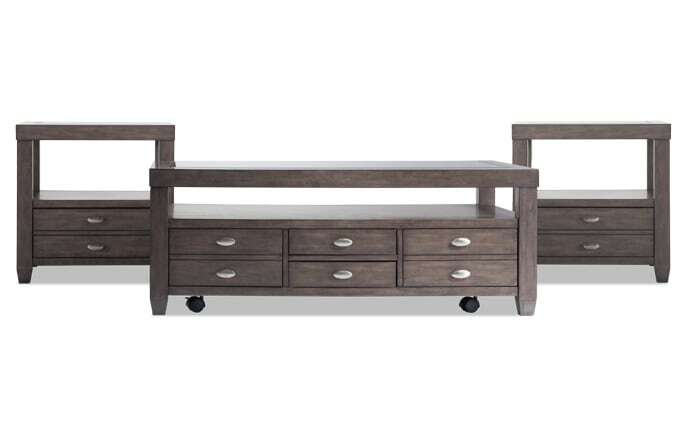 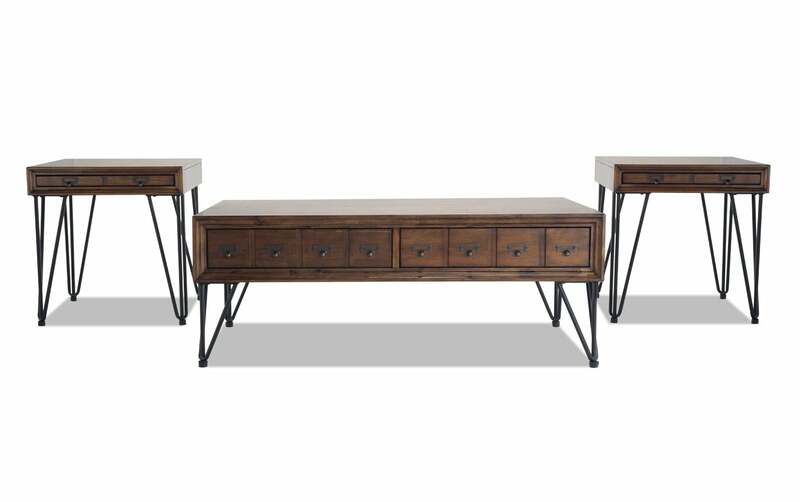 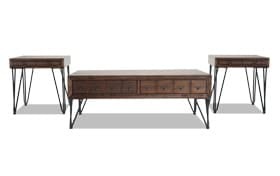 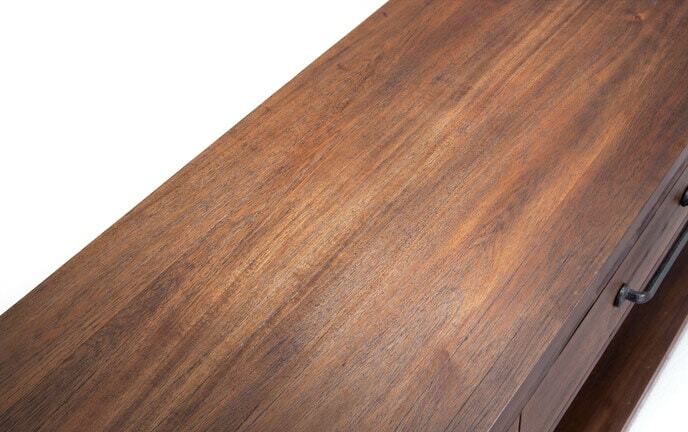 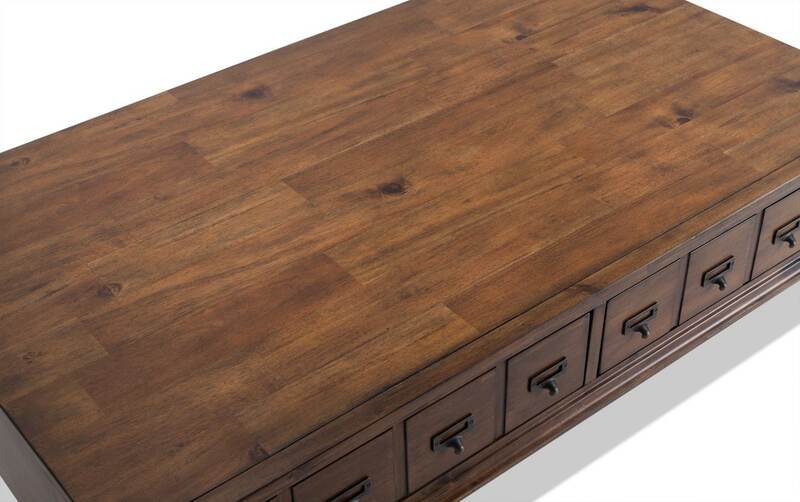 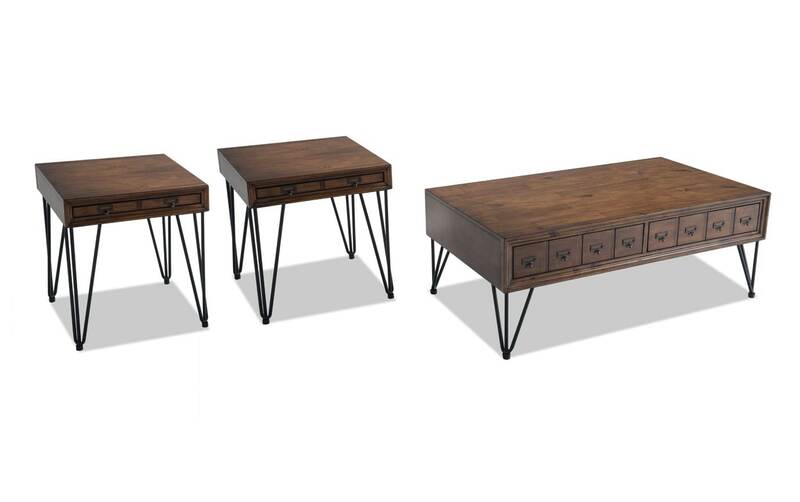 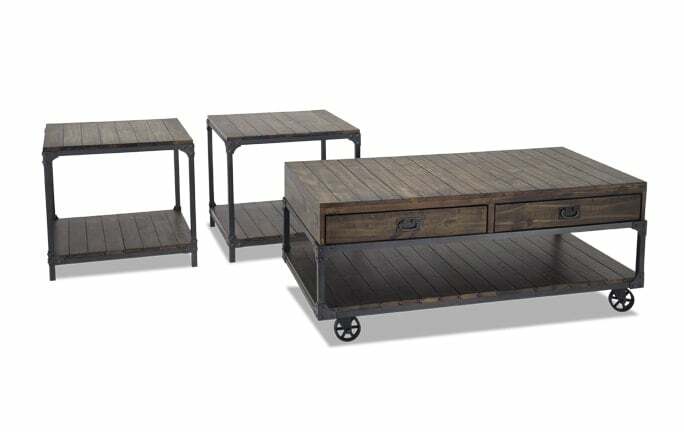 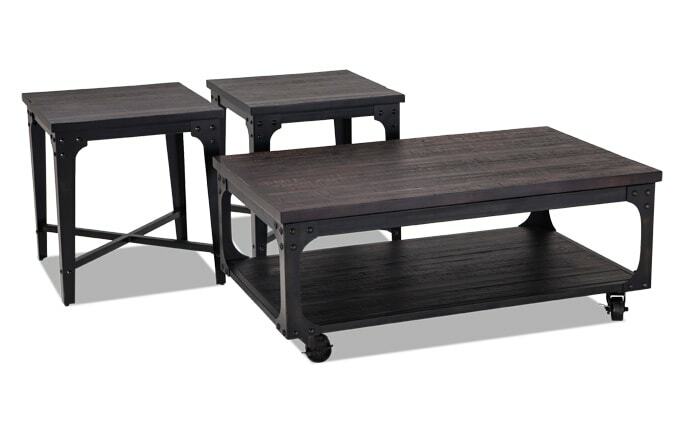 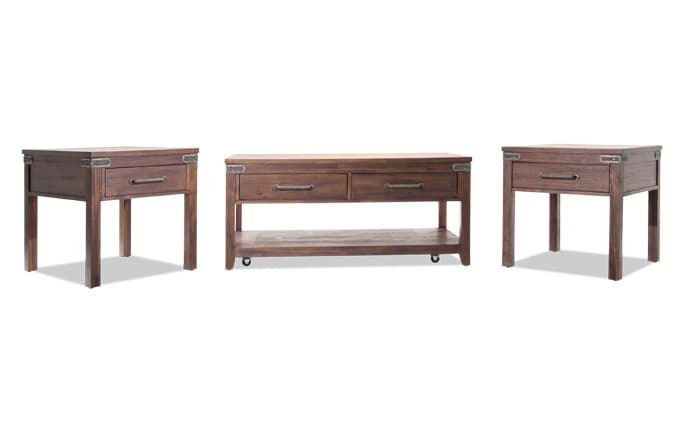 Add industrial style and storage in one simple step with my Aiden Coffee Table Set. 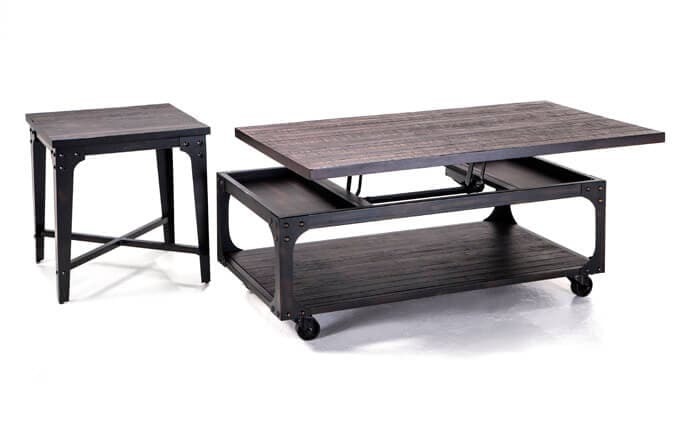 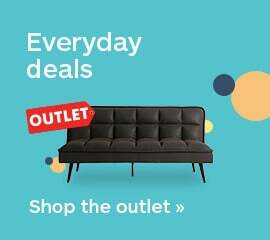 Keep your snacks, drinks and laptop easily within reach while you relax! 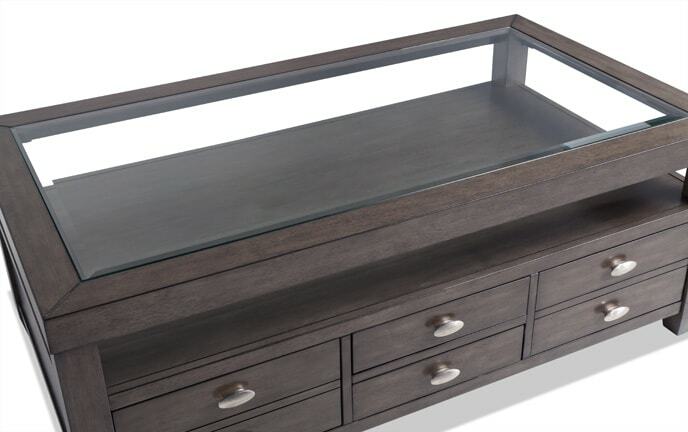 Stow books and remotes in the spacious drawers.